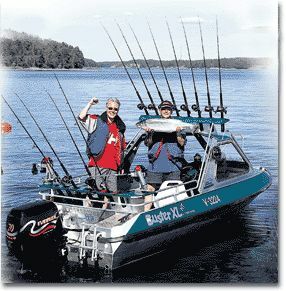 Adjustable pitch - With ProPulse, you set the pitch yourself so that your boat performs at its best in all situations (e.g. for water-skiing, or when carrying light or heavy loads). With the correct propeller setting, your fuel consumption will decrease while your speed and performance increase. Replaceable blades - If a ProPulse blade is damaged, you can easily replace it on the spot and carry on with your trip immediately. This is cheaper than paying repair bills or buying a new propeller. Adaptable hub - ProPulse fits all of the most common makes and models, which means that you can continue to benefit from its advantages even if you change engines. Strong - composite plastic is stronger than aluminium. ProPulse is 100% recyclable. Corrosion-free - Unlike an aluminium propeller, ProPulse is not subject to corrosion or cavitation damage. The finish will be "as new", even after many years of use. Lightweight - The ProPulse propeller is 40% lighter than an aluminium propeller, thus reducing the strain on your transmission and gear mechanism, and ensuring your engine has a longer service life. 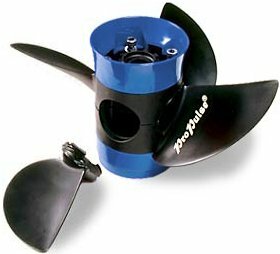 Manufacturing Quality - ProPulse propellers have been designed with the aid of the most recent hydrodynamic research. The use of 3-D CAD ensures maximum accuracy. We have placed a great deal of importance on strength and performance tests. ProPulse is a Swedish quality product that has been tested thoroughly, resulting in a 3-year warranty on the hub. View independent tests of the ProPulse propeller here.